Harold Lee Adney, age 62, Coweta resident was born on October 24, 1953 to Perry Nelson and Mildred Pauline (Kinzey) Adney in Broken Arrow, Okla. Harold passed away peacefully on Friday evening, April 29, 2016 at his home in Coweta, Okla. surrounded by his family. 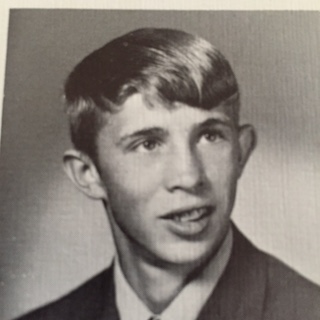 Harold was a 1972 graduate of Broken Arrow High School. He worked as a self-employed water well driller for most of his life. Harold owned and operated Harold Adney Water Well Drilling. He and Delene Adney were married on June 10, 1991 in Las Vegas, Nev. Harold enjoyed fishing and spending time with his family. Harold is survived by his wife, Delene Adney of the home in Coweta, Okla.; 1 son, Dwayne Bilby of Valliant, Okla.; 1 daughter, Karon New of Tulsa, Okla.; 3 brothers, Ron Adney and wife, Deborah of Porter, Okla., Gerald Adney and wife, Karen of Haskell, Okla. and Darrell Adney and wife, Angie of Coweta, Okla.; 1 sister, Judy Rosser and husband, Gary of Broken Arrow, Okla.; 5 grandchildren; 1 great grandchild; and numerous aunts, uncles, cousins, nieces, nephews, other relatives and friends. Harold was preceded in death by his parents, 1 brother, David Adney and 1 grandson, Cameron Bilby. Viewing for Harold will be from 12-5 PM on Monday, May 2, 2016 and from 9 AM-8 PM on Tuesday, May 3, 2016 at Wright-Brown Family Funeral Home with the family greeting friends from 6-8 PM. Funeral services celebrating Harold's life will be at 11 AM on Wednesday, May 4, 2016 at Oneta Holiness Church in Broken Arrow, Okla. with Rev. Daryl Brewer officiating. Burial will be in Rufe Cemetery in Rufe, Okla. Pallbearers are Justin Rosser, Tom Dooly, Julius Iwanski, Mike Cunningham, Dwayne Bilby and Paul Rock. Family and friends may share memories online at www.brownfamilyfuneralhome.com. The family of Harold Lee Adney entrusted his care and services to Wright-Brown Family Funeral Home, 210 S. Broadway, Coweta, Okla. 74429, 918-486-5515. Click here to see HAROLD's last Profile entry.